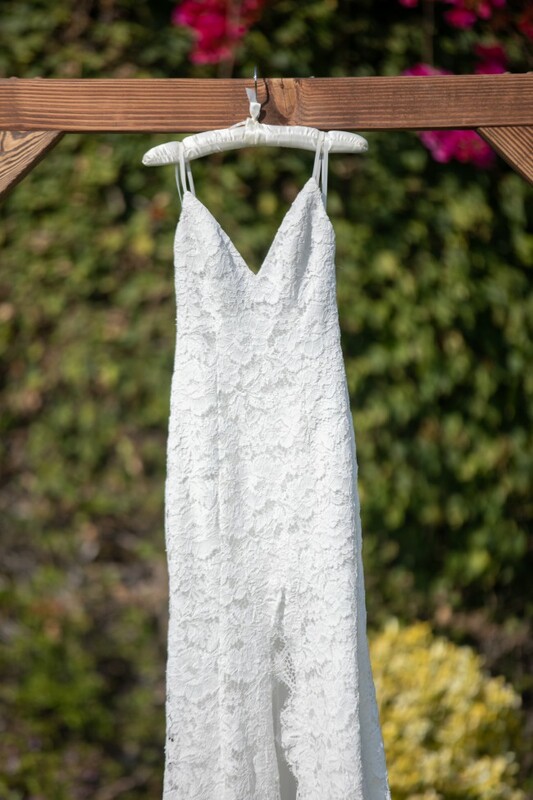 A gorgeous full lace dress with a revealing split up the front and a V neck bodice. The train falls wide with soft lace and the shoe string straps give it a touch of elegance. The lace has subtle patterns of flowers throughout. The back is low. I got so many compliments on the dress! Altered the straps to fit properly on my body. Brought in a little bit at the waist. Brought in the bust area - took cups out. Cups can be put back in and dress can be taken out. Bustle put in as well.